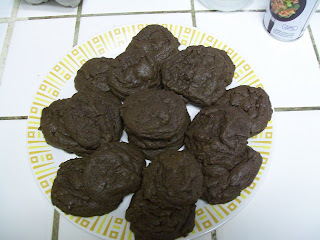 These cookies are super easy and oh so yummy to make. They are also a good way to use with food storage, especially when cake mixes go on sale at the grocery store for like 80 cents. I always stock up. 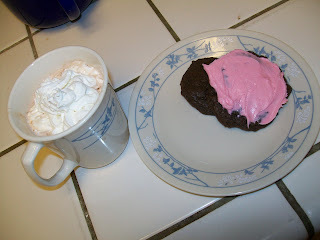 They are also yummy on a rainy day with hot chocolate. mix together, spoon onto baking sheets, Bake @ 350 for 10-15 minutes. Cool 10 minutes and then remove to a cooling rack or plate. ok, you've sold me on the cookies. I think I know what we're doing today. Thanks!! Very interesting....and they sure sound extra yummy! I'm sure my boys would love them!! I'll have to give them a try sometime. Thanks! Just thought I'd let you know we made these last weekend...the chocolate ones. I added crushed up candy canes we still had from Christmas. My word - my family devoured them like there'd be no tomorrow. LOVED them! Only complaint - we only got 2 dozen out of the recipe! Wow!! Just made these and they were awesome! Love it that they are so inexpensive too!! Thanks for an easy and tasty looking cookie! A quick made and yummy recipe to share and thanks for exploring the creativity of making different yummy things.